Forget the cards, the flowers, and the chocolate. Well, actually, keep the chocolate. And really, anything else that makes you feel like your best self. Because if we could redefine Valentine’s Day, we would ask that Hallmark agrees to a full 24 hours of self-love. Why? Because finding “true love” pretty much requires that you get 100% in touch with who YOU and what YOU want. With that in mind, we went in search of workshops, events, and experiences that will nourish your soul, feed your body, inspire your mind, and open your heart. 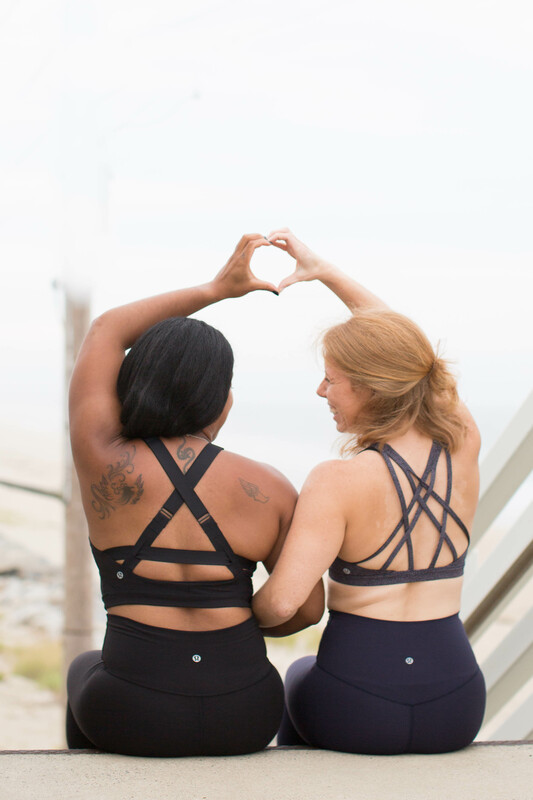 Hashtag #njyogacollective so we can share the love, too! This workshop includes theory and experience and is enriched with a Kundalini yoga sequence to refresh the body. Join us for a beautiful yoga flow to awaken your senses, sooth your spirits and calm the mind. Afterwards enjoy some delicious decadent chocolates paired with wine. Please join me and my Kai on Valentine’s Day to help celebrate the love. Share a class with your loved one. Bring 2 non-perishable food items per person. Working with Move for Hunger, Help us spread the love. Love, Light & Gratitude to all with warm hugs and kisses! Halotherapy: Studies show that people with chronic upper respiratory conditions, airborne allergies, sinusitis, and cystic fibrosis derive significant benefits from Halotherapy. Our Serene Saturday introductory meditation sessions are designed to bring you joy and peace through meditation. Newbies or veterans, all participants will learn and practice a simple, practical technique called Jyoti Meditation. These practical, daily use sessions are conducted by speakers with varying backgrounds like medical professionals, top corporate executives, successful business entrepreneurs, scientists and education experts. Workshop will begin with some gentle movement, perform sequences using the therapy massage balls, relax with restorative poses and end with a delicious final relaxation. Perfect for couples and friends to who want to encourage each other to relax and unwind. Would you like to learn more about the benefits of breathwork and the relationship to a meditative mind? In this workshop you’ll learn methods to add breathwork into your teaching and enable students to cultivate their own practice over time. 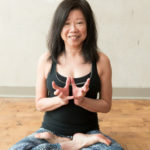 We’ll begin with a brief discussion about pranayama, it’s value as a centering tool, then move through a progression by including specific practices into your sequence with a class setting in mind. A guided seated meditation will follow. Join Eleonora and Allison in this live music class focused on nurturing creativity. Inspired by the cycle of the moon, we will reflect upon and purge ourselves of unnecessary holding and embrace our vulnerability and darkness. You will connect to your inner power in order to let go of unsupportive habits and practices. This flowing hip and heart-opening sequence is an emotional inner journey to learn how your yoga practice can heal both body and soul. A portion of proceeds will be donated to 180 Turning Lives Around. Both Kundalini Yoga and sound healing with singing bowls work with your chakras (energy centers) to raise your positive vibrational energy. In this workshop you will move, chant, and meditate as you practice Kundalini Yoga, the yoga of awareness. The exercises in this set are excellent for beginners and regular kundalini practitioners and they balance and cleanse your chakras and the corresponding organs of the body. In addition, you will move the kundalini energy located at the base of your spine up so that you can use it to reach your maximum creative effectiveness in your life. In the second hour of the workshop, Tracy will guide you through each of the chakras. Learn the location, color, and meaning of each chakra and set a positive intention into each one of these spaces with the sound of the singing bowl. Learn how to find out if these chakras are blocked and what you can do to keep the energy moving. The pups from The Humane Society of Atlantic County are heading back to Galloway to play with you during your yoga class! Join us as we present Doggy Noses & Yoga Poses at Garden State Beer Company to benefit The Humane Society of Atlantic County! You do the yoga while the pups do the cuddles! Adorable ADOPTABLE puppies and dogs will be allowed to ROAM FREELY and interact with you during this one-hour mixed level yoga class featuring instructor Megan Schweickert of Grow Yoga. Bring your BFF, spouse, Mom, Dad or your special person and join us for a memorable class. This gentle, partner themed, class will blend basic yoga and restorative postures. We will be focusing on connecting with one another through our practice of heart openers and guided meditations, honoring love and friendship. Celebrate the gift of human connection in this beautiful, calming practice. Join us in collaboration with Totes Goats LLC. Come meet four of their adorable goats- either Mica, Coconut, Mini Mocha, Baby Bells, or babies Namaste and Raja. Registration begins at 3:45, followed by 45 minutes of all-level vinyasa yoga. There will be time at the end for photos with the goats and to learn more about these amazing animals from the Totes Goats staff. Be advised that attendees may be subject to being climbed on by happy goats. The practice of Fascia Yoga is the practice of conscious movement, asana (postures), pranayama (breathing), and bandhas (locks) that is highly influenced by the work of Tom Meyers’ Fascia Matrix. This is the perfect opportunity to carve out time for you and body, mind, and heart awareness. This is a physical practice that is also about the mind. The movements are subtle, yet strong. The body is experienced in a non-habitual way which changes the perception of one’s overall experience. Restorative yoga is a slow, controlled, systematic practice that encourages the body to relax and release deep tension with minimal physician exertion. During this rejuvenating workshop, you will rest supported by bolsters, straps and folded blankets in poses designed to open areas of the body where most tension is stored. This practice is perfect for individuals with physical or mental tension that will melt away during the two hour long guided session.